4.Set 1st course of Maytrx Wall Stone. The corner pieces will need to be split so that there is texture on 3 sides. 5.Set 2nd course of Maytrx Wall Stone. Repeat this step for the 3rd, 4th, and 5th courses. 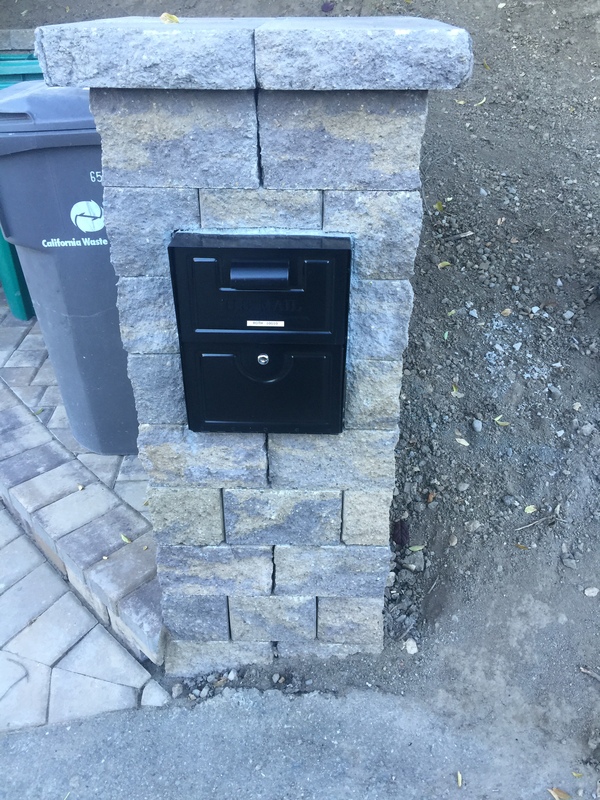 6.Set mailbox(es) into the 6th course. 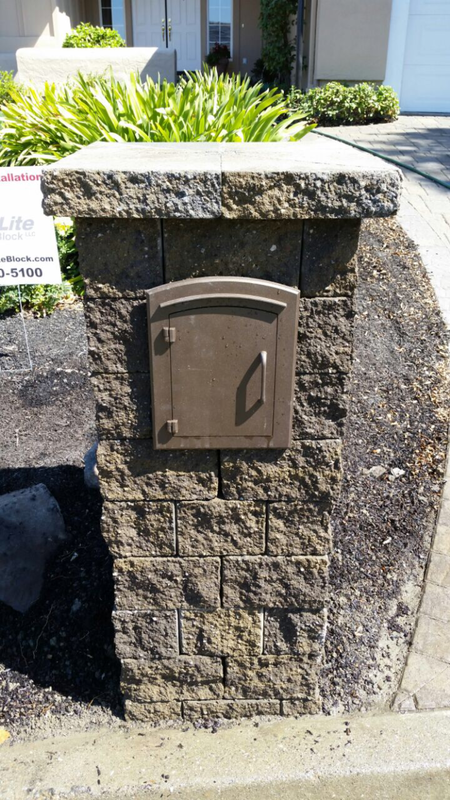 This will require additional pieces be cut to for the 6th and 7th course to accommodate the mailbox(es). You may add an additional full course below the mailbox(es) if you wish for them to be higher. In that scenario the 7th course and 8th course would need to be cut. 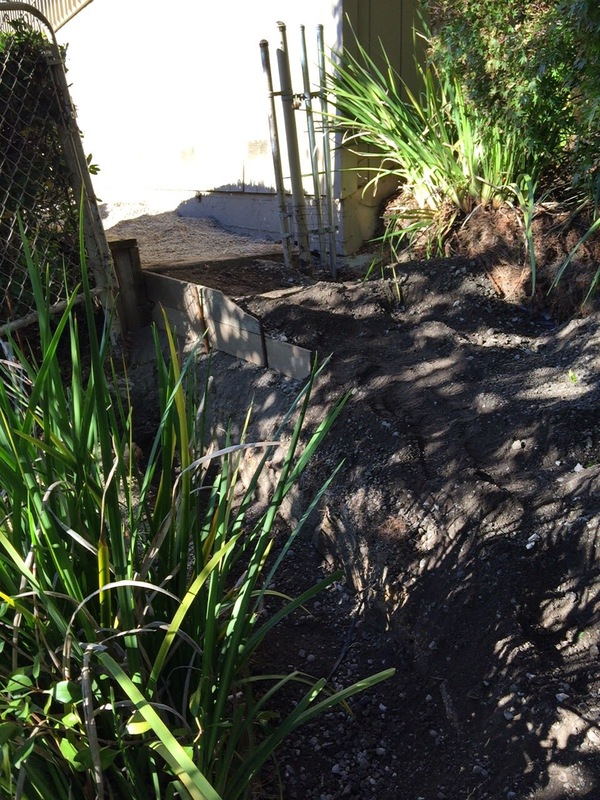 Watch the video below for before and after footage of a backyard transformation in Walnut Creek, California. The project included replacing a patio and pooldeck plus the addition of an outdoor kitchen. 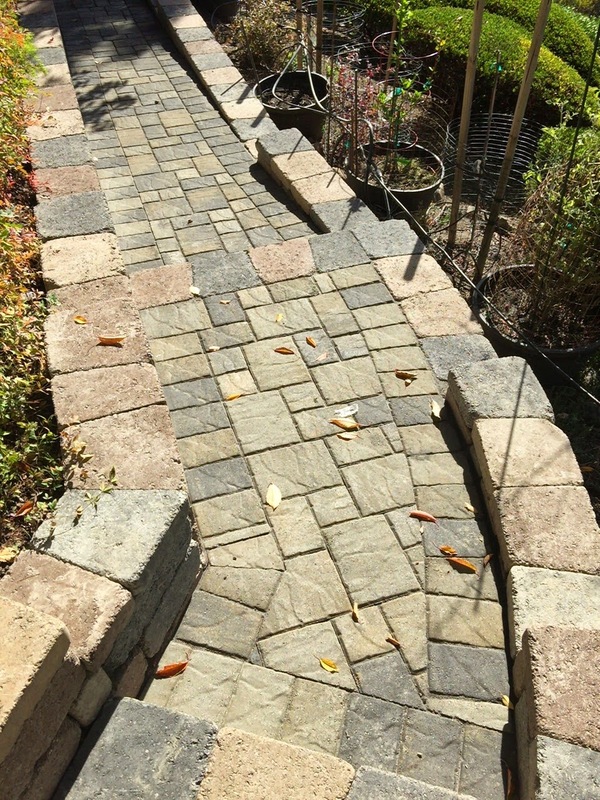 This featured project is a backyard walkway installation that we completed in Lafayette. 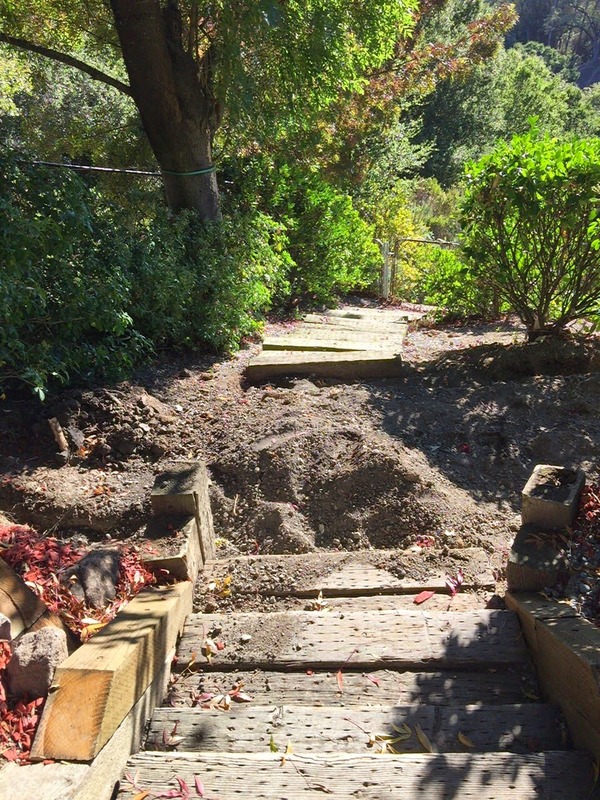 Prior to construction there was only a dirt walkway and some wood steps connecting the deck to a gate at the rear of the property. 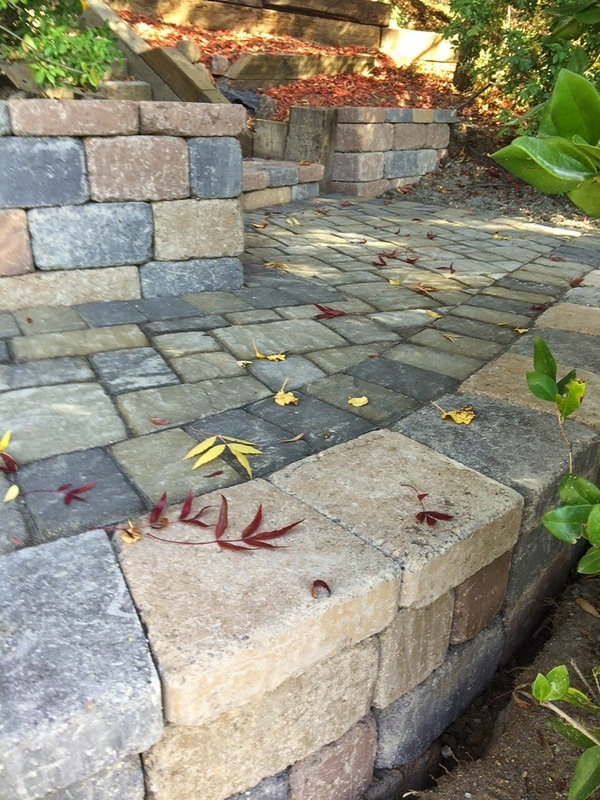 The Carriage Stone paver in the Tahoe Blend was used for the walkway. 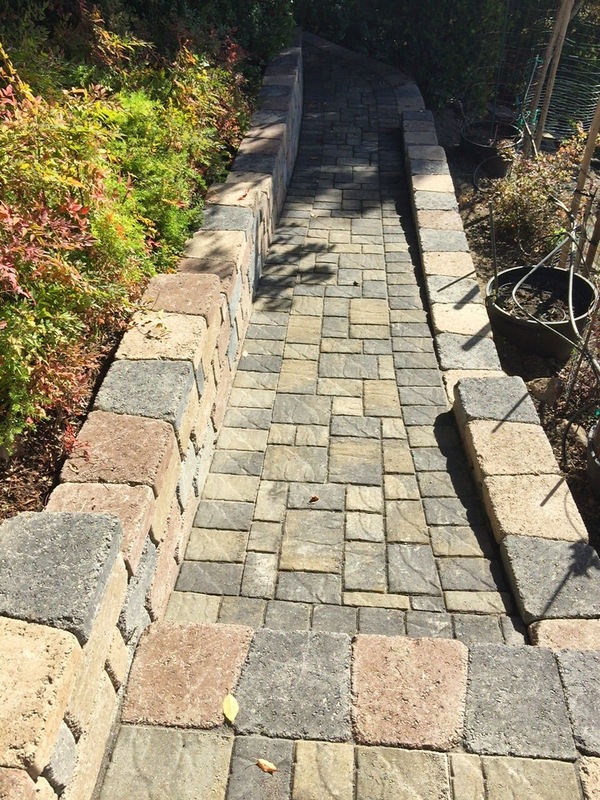 With the path sloping downward and being on a hill, retaining wall on both sides of the pavers was necessary for stability. For that purpose, the Keystone Stonegate Country Manor in the Yosemite Blend was selected. The Yosemite blend features a mix of tans, blues, and reds offering a complement to the blue and gray tones of the Tahoe Blend. Browse the gallery below to see pictures before and after construction. 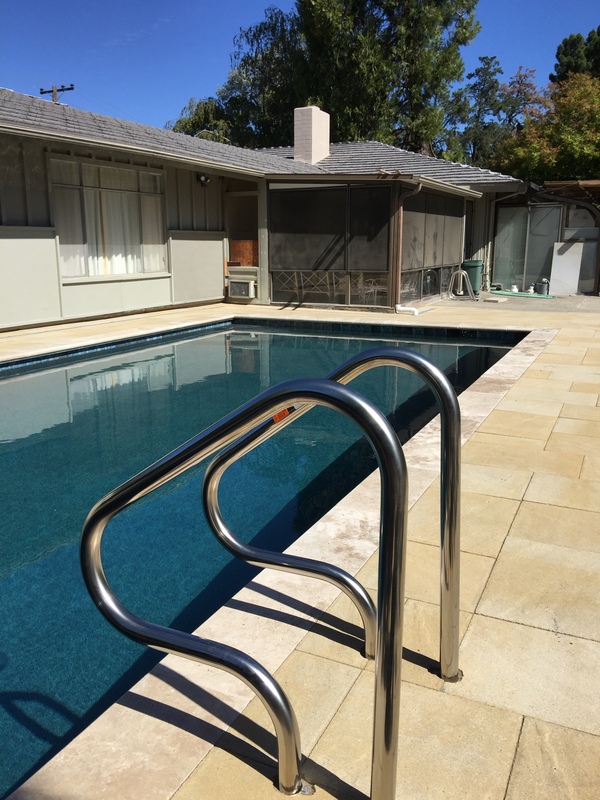 We would like to highlight a project that was completed in the East Bay suburb of Moraga. 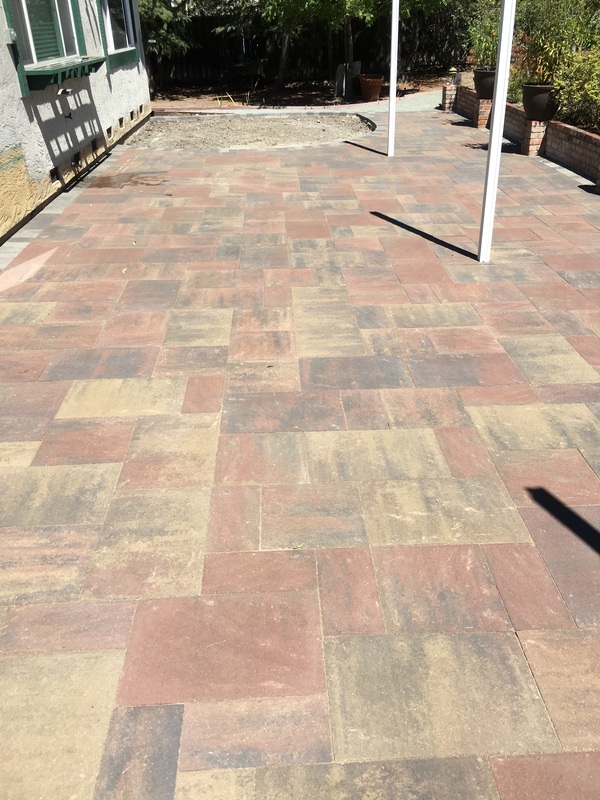 The Project included a walkway and seating area in the front yard along with a retaining wall, firepit, seating area, pergola, and patio in the backyard. 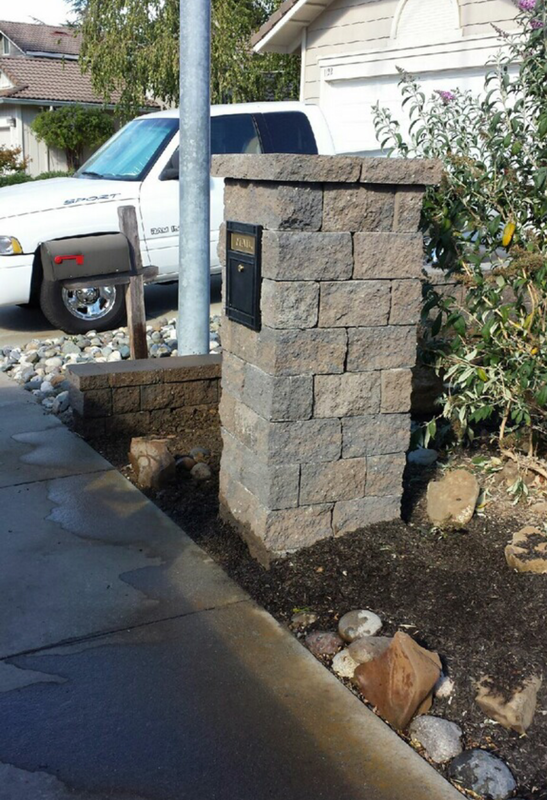 The homeowner selected the Tahoe Blend which features a mix of gray, tan, and charcoal. 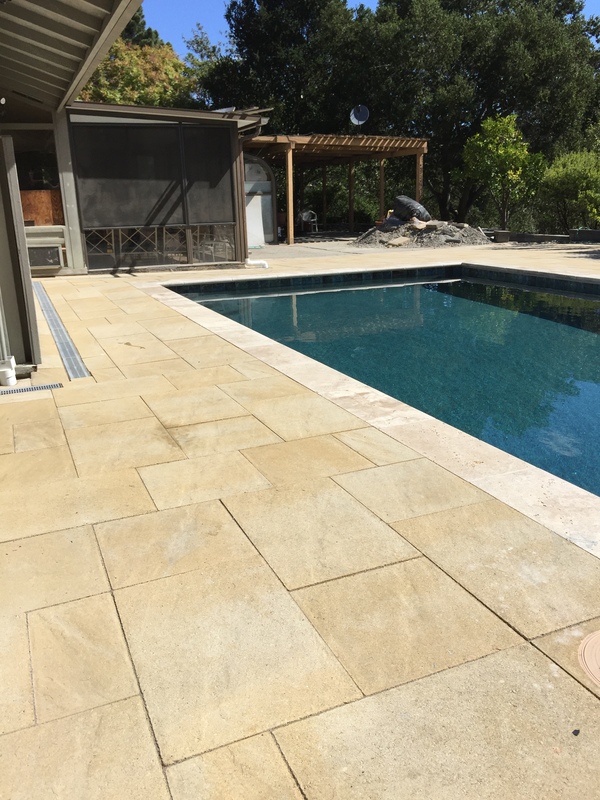 Backyard Patio featuring the Century Stone Paver in the Tahoe Blend. 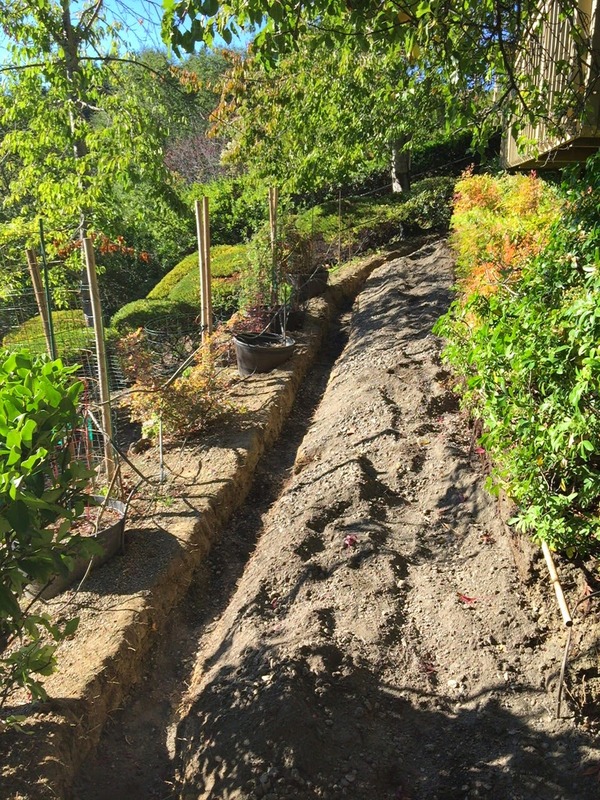 The MaytRx Retaining Wall in a matching Tahoe Blend was used to push back the hillside giving the homeowners more usable space. The MaytRx wall was also used to build a firepit and a shorter seating wall. A Pergola was installed above the patio. 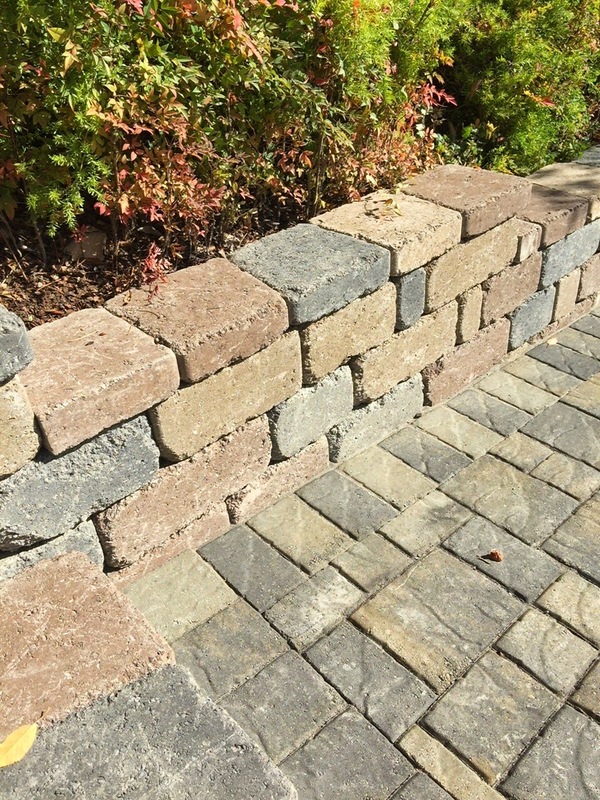 The Metro Stone in the Tahoe Blend was used as a cap for an already existing wall in the front yard creating a sitting area and tying the wall to the walkway. 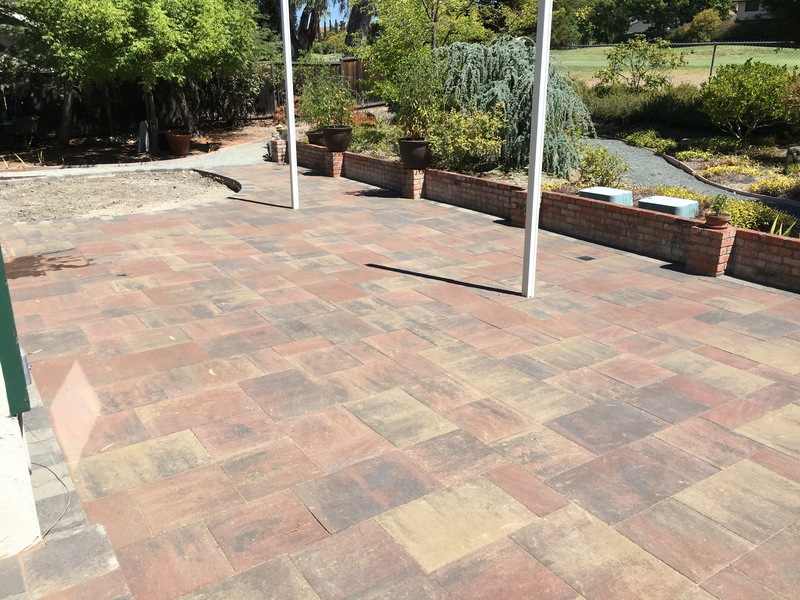 We would like to highlight a backyard and side yard renovation that we recently completed in San Jose. 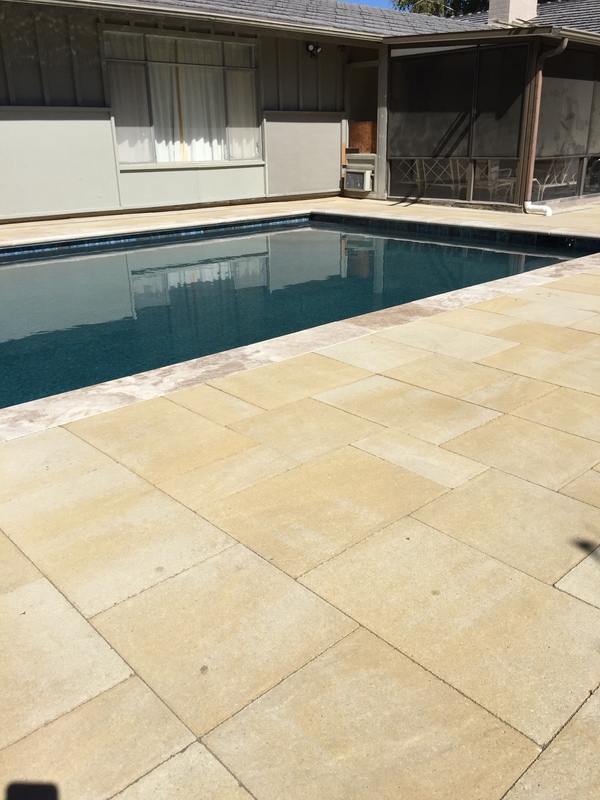 The Project consisted of removing and replacing a concrete walkway and patio and a wood deck with concrete pavers. 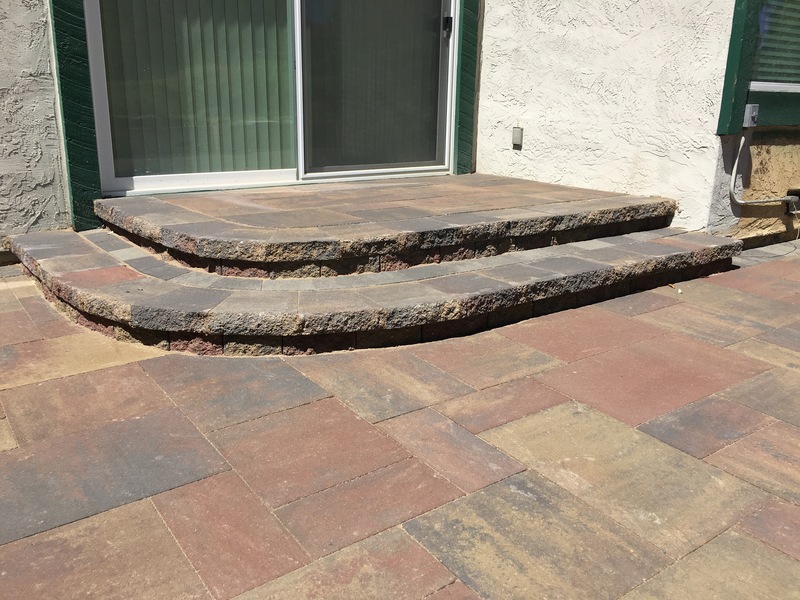 The homeowners selected the Carriage Stone paver in the Sonoma Blend. 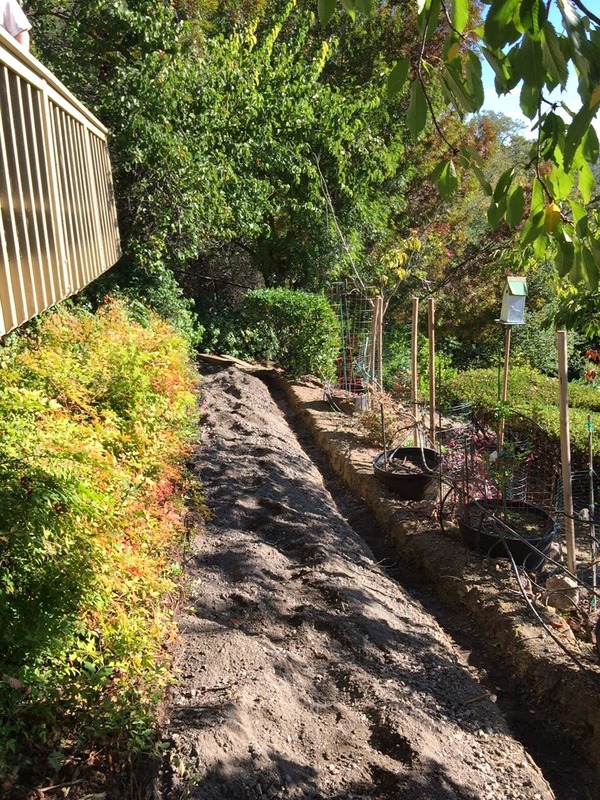 A new walkway was installed along the side yard which is the access point from the front of the house to the main entrance and the backyard. 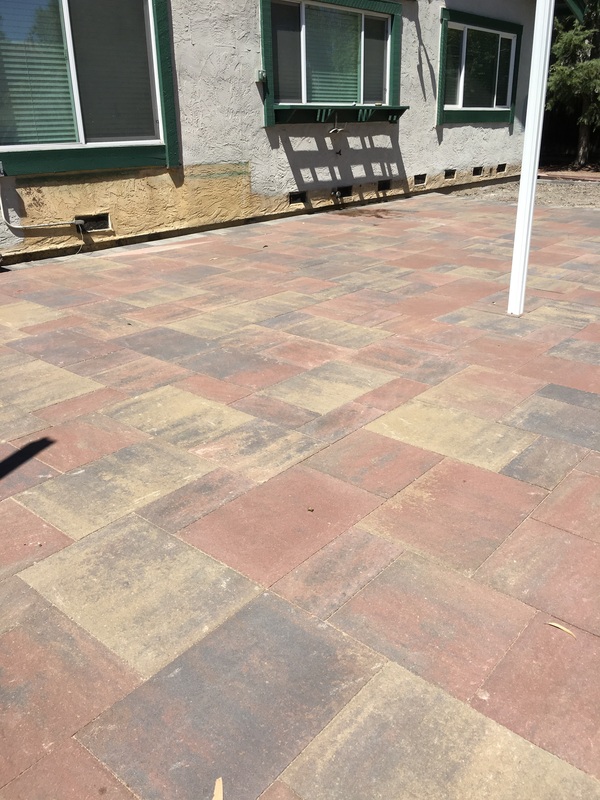 A new concrete paver patio was put in giving the homeowners a comfortable outdoor living space to enjoy the neighboring golf course. Steps had to be built at each door because the former wood deck was at a higher elevation. A firepit and seating wall were constructed at one end of the patio. 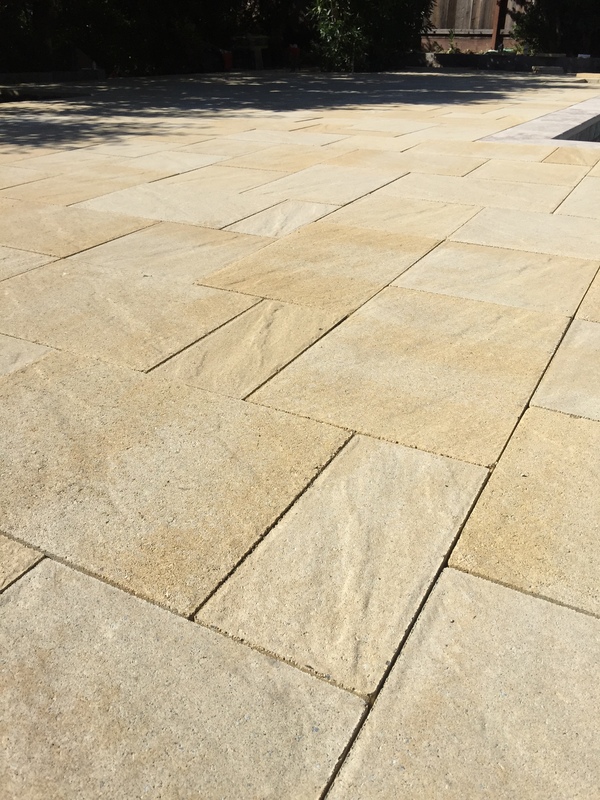 The MaytRx Wall Stone, offered in a matching Sonoma Blend, was selected to give the project a consistent appearance.